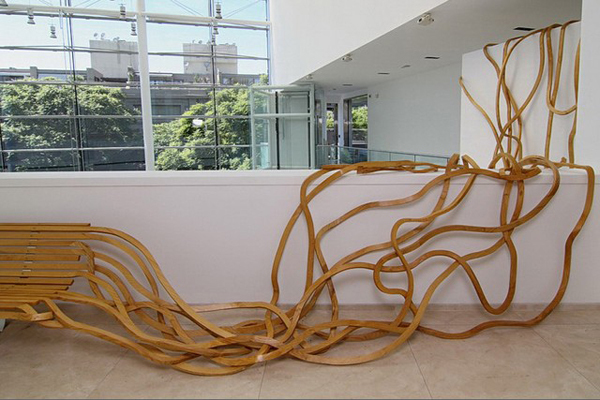 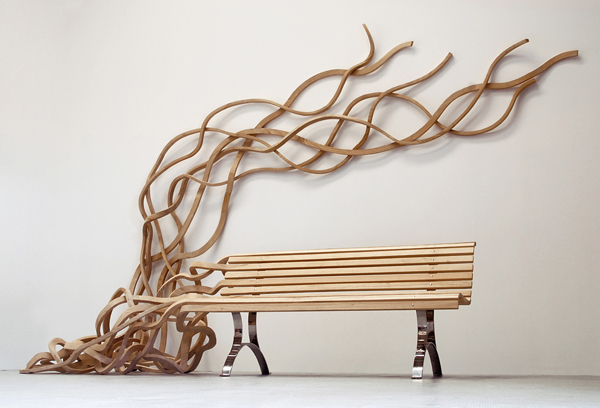 Designed by Pablo Reinoso, the typical wooden bench gets an artistic twist. 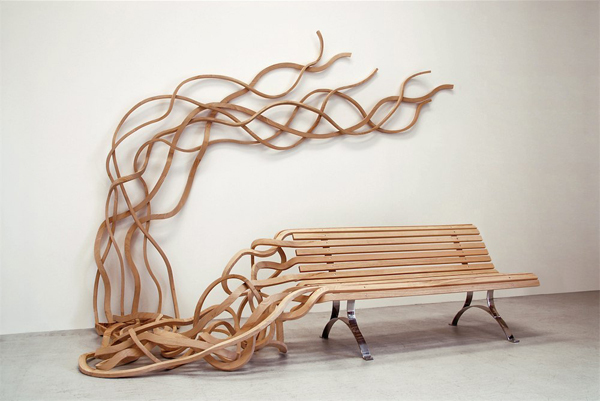 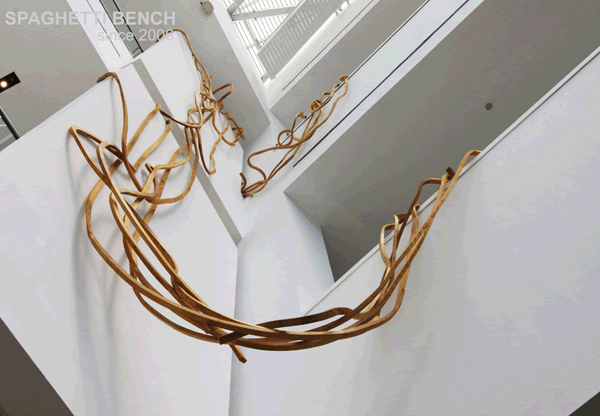 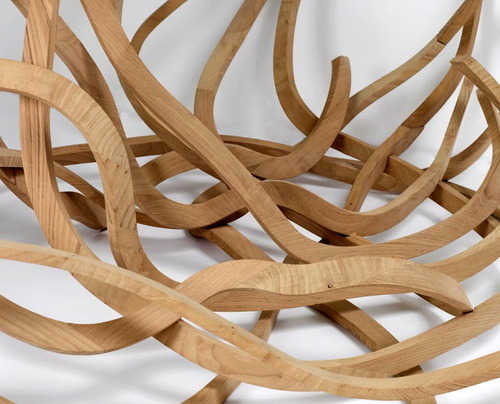 The 'Spaghetti Bench' takes an ordinary wooden bench which transforms into an organic object at one end, as if breaking free from the processes and manufacture of linearity and returning to the state of growth, like tree shoots reaching towards the light. 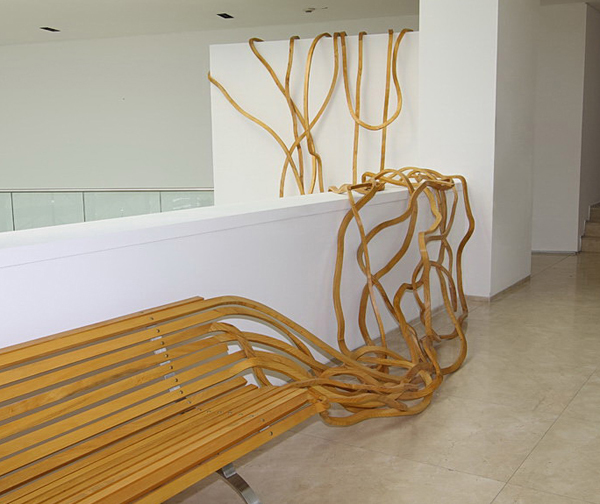 The dynamic form definitely excites as the 'spaghetti' strands hang on the wall, or even over openings and atriums- a beautiful and original design.